July 27, 2010  The AMC cable channel premieres a modern spy series on Aug. 1; critic David Bianculli says the smart, suspenseful drama pays homage to the great conspiracy thrillers of the 1970s -- while providing a much needed update for a modern audience. 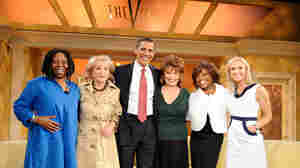 July 27, 2010  Obama is scheduled to sit down with the women of The View this week -- the first sitting U.S. president ever to appear on daytime talk TV, according to ABC. The show isn't exactly known for incisive political commentary. So why this moment and this venue to make daytime television history? 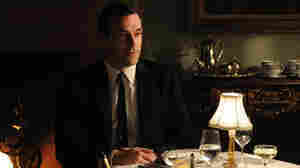 July 26, 2010  The six-time Emmy winning writer explains how he came up with the idea for the major plot shakeup at the end of the third season and details his favorite moments from the series. 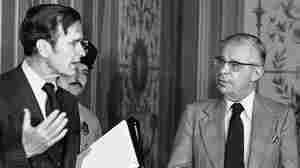 July 24, 2010  The prolific newsman, who died Friday at 93, exemplified the mission of bearing active witness to history -- in his case, the decades that chronicled America's rise after World War II. And he uncompromisingly stood up to authorities in the greatest traditions of American journalism. July 23, 2010  Good buzz on the Internet these days is just as important, maybe more important than a newspaper review, so Hollywood regularly jets its top royalty into Comic-Con to court, or pay tribute to attendees. July 22, 2010  TV critic David Bianculli says watching television between June and August used to be a real chore. But these days, he says, it's anything but a bore -- if you know where and when to look. 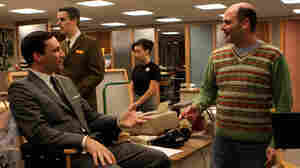 Bianculli details the highs and lows of summer 2010 -- and previews the new season of AMC's Mad Men. July 21, 2010  Summertime has brought a bumper crop of dramas to cable TV, including its highest-rated series, TNT's The Closer. These hits are the kind of shows that wouldn't seem out of place on the broadcast networks. And that, says commentator Andrew Wallenstein, is just the problem. Shop That Inspired 'Soup Nazi' Reopens In N.Y.
July 21, 2010  Immortalized by a Seinfeld character, the Original SoupMan returned to Midtown Manhattan Tuesday, drawing a long line. But the soup man himself -- Al Yeganeh -- did not make an appearance. July 20, 2010  In November 2008, members of the New Black Panther Party showed up at a polling station in Philadelphia -- one carrying a nightstick. The incident would lead to criminal charges, allegations of reverse discrimination and a media storm that continues today. Introducing UltraViolet: Buy Your Digital Movie Once, Play It Anywhere? July 20, 2010  A new technology standard -- agreed to by a consortium of 60-plus electronics manufacturers, retailers and studios -- promises to let consumers maintain an online video library that can be shared with a small group -- and ported to other devices. July 20, 2010  The paper-or-plastic choice for today's network-TV stars: Cling to the nightly news ideal of impartiality -- or build an audience on a cable news outlet by taking a sharper, sometimes overtly ideological tone. Rising NBC star Savannah Guthrie is trying to walk that line without stepping across it. Two Ladies: Are You Team Bella, Or Team Lisbeth? July 19, 2010  Critic John Powers compares the heroines featured in this summer's two cultural juggernauts -- Twilight and the Millennium Trilogy. And despite being almost diametrically opposed, the characters Lisbeth Salander and Bella Swan have more in common than you may think. July 18, 2010  Memorabilia from the Roy Rogers and Dale Evans Museum went up for auction this past week at Christie's in New York. Host Liane Hansen speaks with Patrick Gottsch, president of RFD-TV in Omaha, Neb., who snagged the centerpiece item: Rogers' stuffed horse, Trigger. 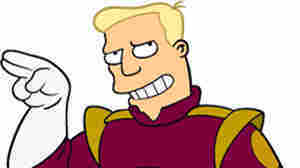 July 15, 2010  If you've watched cartoons in the past few decades, you probably know Billy West's voice: He's played Philip J. Fry, Professor Farnsworth, Dr. Zoidberg and Zapp Brannigan on Futurama, plus Bugs Bunny and Elmer Fudd in Space Jam (and more). West explains how he comes up with his voices -- and demonstrates a few of his favorites. July 14, 2010  The 2nd U.S. Circuit Court of Appeals in Manhattan has overturned the Federal Communications Commission's indecency policy as unconstitutionally vague. This was the 2004 policy the FCC approached following "fleeting expletives" on live awards shows.